The Block House was originally constructed in 1764 as a defensive redoubt for Fort Pitt, a key British fortification during the French and Indian War. As the Block House is the only surviving structure left of Fort Pitt, it holds much significance to Pittsburgh and the surrounding area. The oldest authenticated structure in Western Pennsylvania, it is part of the National Historic Landmark of the Forks of the Ohio. The building was first used to defend the fort from Native American Indian attacks during the mid-18th century. After the British abandoned Fort Pitt in 1772, the Block House was used as a trading post for a number of years. The trading post was operated by Alexander McKee, an important early figure in Pittsburgh history. During the American Revolution Fort Pitt served as the headquarters for the Continental Army. However, following the Revolution the United States Army decided to slowly dismantle the fort and replace it with a smaller garrison called Fort Fayette. 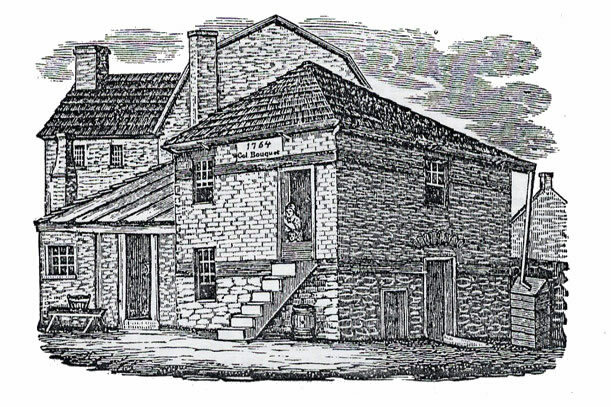 The Block House survived the demolition of Fort Pitt because it was converted into a single-family dwelling in 1785. 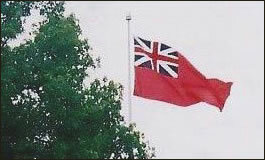 Over the next one hundred years, different families of various sizes, classes and backgrounds lived in the Block House. In the 1840s it became a multi-family tenement with a family living in the upstairs room and another family living downstairs. During the 19th century the Point District, the former area of Fort Pitt and where the Block House is located, became one of the poorest and most densely populated neighborhoods of Pittsburgh. The Block House was simply one of many tenement houses in the Point. Various images and accounts survive describing the condition of the Block House at this time as well as the appearance of the Point. Modern visitors to the Block House are often fascinated to learn of this residential use of the building during this period. In 1894 the Block House was gifted to the Pittsburgh Chapter of the Daughters of the American Revolution (DAR) by the structure’s owner, Mary Croghan Schenley. The chapter embarked upon 16 months of restoration, which primarily involved the in-filling of window and door openings cut into the Block House during its century-long use as a residence. At the start of the 20th century, the Point District was sold (with the exception of the Block House) to the Pennsylvania Railroad. The railroad intended to remove all existing structures, including the Block House, and a majority of the existing streets in the Point in order to construct warehouses, terminals and rail yards. The DAR immediately took legal action to secure their property as well as to avoid the removal of streets leading to the property. They ultimately succeeded in saving the Block House with the passing of state legislation in 1907, but they could not stop the railroad from its other plans. The Block House thus became surrounded by an industrialized district. Plans for construction of a commemorative park at The Point had been underway since the 1930s. After World War II the state of Pennsylvania stepped forward with funding to build what later became known as Point State Park. The park was mainly designed and constructed during the 1950s and 1960s, and it was part of a larger plan for urban renewal in Pittsburgh. 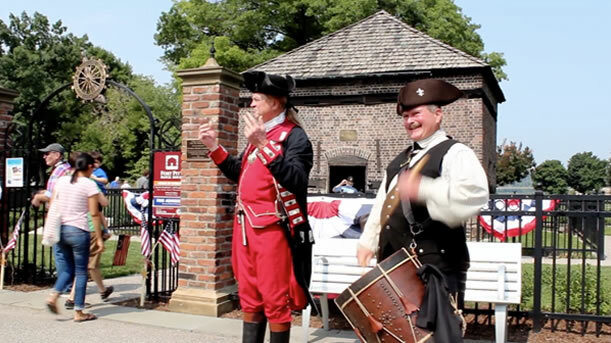 The Fort Pitt Museum was also constructed within the park to educate visitors on the history of Fort Pitt and early Pittsburgh. The Block House remained standing during all of this construction and is currently one of the main attractions of the park. 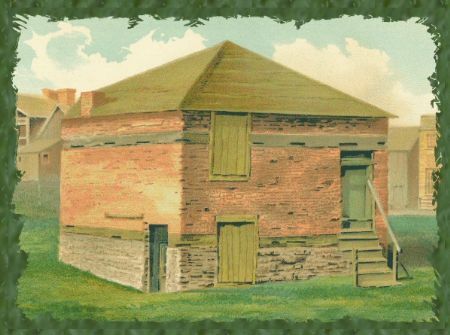 The Fort Pitt Block House is still privately owned and operated by the Fort Pitt Society of the Daughters of the American Revolution of Allegheny County, Pennsylvania, and receives no state or federal funding. It has remained free and open to the public since 1895, and it is the only remnant left to remind of us of Pittsburgh’s earliest history. Much of its architectural fabric is intact in that the stone foundation, bricks and timber elements are mostly original to its 1764 construction. The Block House is listed as a National Historic Landmark (in conjunction with the Forks of the Ohio,) reiterating its importance to our nation’s history.